Nurse.org says approximately 50% of American nurses are over the age of 45. It’s predicted that the nursing shortage will worsen over the next ten years, in large part due to the number of nurses reaching retirement. Meanwhile, a lack of qualified instructors means that we turn away thousands of potential nursing students every year because we simply don’t have the capacity to teach them. 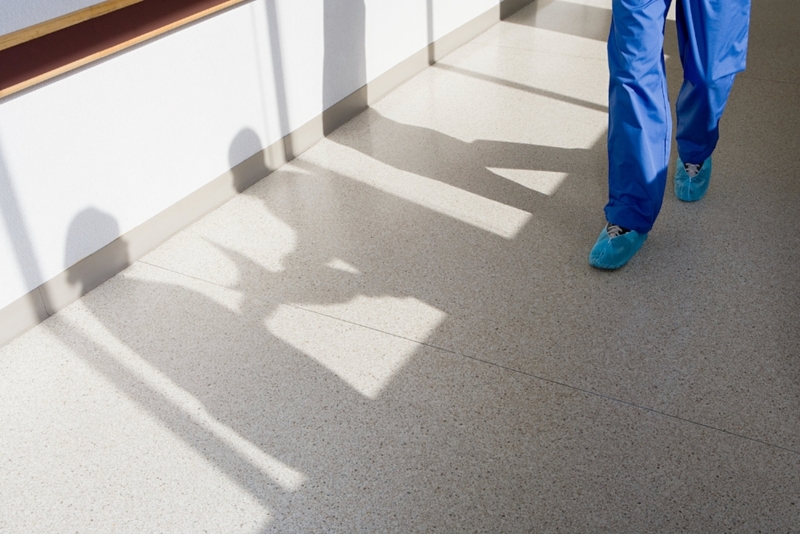 Aging and retirement are not the only reasons nurses are leaving in droves. There are many nurses with less than 10 years experience who leave their jobs early for their own reasons. Becoming a nurse requires jumping through many hurdles and hoops with years of schooling, testing, and hours of volunteer time, so it is concerning to see many nurses leaving what they worked so hard to get into. Becoming a nurse is no easy task. Many personal, professional, and financial sacrifices are required, so when a nurse leaves the nursing profession, it’s cause for concern. Let’s talk about the top reasons nurses are leaving and how you can protect yourself from suffering the same fate. There’s no shortage of job opportunities for nurses in the current economy, but these jobs are relative to an individual’s life path. According to Nurse.org -- Many nurses are returning adult learners and second-degree students who’ve settled down, bought a home, and are likely to be married with children. While there may be job opportunities in other locations, not everyone can uproot for a job. What to do: Understand your life goals (short, mid, and long term). Does your specialty fit with your life needs? Can you get certified in a more in-demand specialty? From the outside looking in, nursing can seem so different. Most do not understand what the job will look and feel like until they begin actually working in the field. There are so many unrealistic and warped portrayals of what the field is like. Movies, TV shows, and the internet will not give you a grasp on the difficulties of being a nurse. These often aren't discovered until you've already started with your license and you're on shift. They say "Nursing isn't for everyone" and it's advice not to be taken lightly. All nurses will be put through the test mentally, physically, and emotionally. To be a nurse, you need to be skilled in multiple facets of life from time management, great communication skills, empathetic, patience, detailed, physical endurance and more on a daily basis. This nonstop marathon can be something many are not prepared to handle. What to do: Ask, ask, ask, and find a mentor. Before you begin nursing school or before you begin working in the field, make sure to find a mentor or ask advice from experienced nurses you may know. This can really prepare you for your career. This unfortunate scenario holds some validity in the real world of nursing. As a new nurse, you need strong coping mechanisms. Lateral violence and workplace bullying are nursing’s dirty little secret, and while it’s not the standard, bullying does exist. These poisonous actions are debilitating if you don’t have appropriate coping mechanisms. To be clear, it’s not just fellow nurses who are responsible for bullying and incivility. In the world of healthcare, the human condition is unpredictable and emotionally charged. Every member of the healthcare team – including patients, families, and doctors – can be both a target or a perpetrator. How can I better manage difficult people and stressful scenarios? Do I have skills for assertive communication? Can I be more assertive in my communication? Do I possess healthy coping mechanisms? How can I develop healthy coping mechanisms? What can I do to maintain a good work/life balance? Nursing is not for the faint of heart. It will seem like a jolt to jump from nursing school to the fast paced real world working situations you will have to handle as a nurse. There are some things that going to school cannot prepare you for, and you must take the twists and turns and embrace the learning experiences that are to come. What to do: Be prepared for the change in pace. While in nursing school, take the tougher assignments and challenge yourself to work and function as close to the real world as possible. Time management and delegation will be essential. As you go on this path as a nurse, you must have a goal and direction. Stay up to date on healthcare, learn more about your profession, and remain a key team player at your facility. Find an engaging nursing job you’ll love! High-paying nursing opportunities are here and there is one just for you. As a registered nurse, you are in control of your career. Check out the best jobs from coast to coast on our job board. Get the pay and career path you deserve. Click here to see open positions for nurses now. To connect with a recruiter call us at 909-545-6265 or email your resume to Staffing@ithstaffing.com. Newer PostCan Healthcare Professionals Have Tattoos?